Yep, it’s officially fall. We’ve bought pumpkins. 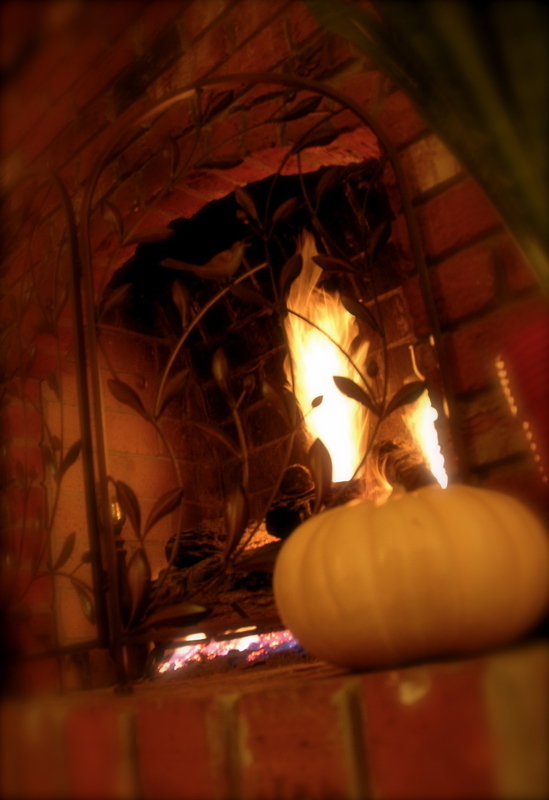 We’ve learned how to light our fireplace. 1. Sautee the onion and oil in a large pot until tender, about five minutes. Sprinkle with ginger and let cook one more minute. 2. Add the rest of the ingredients, and simmer for 45-60 minutes. 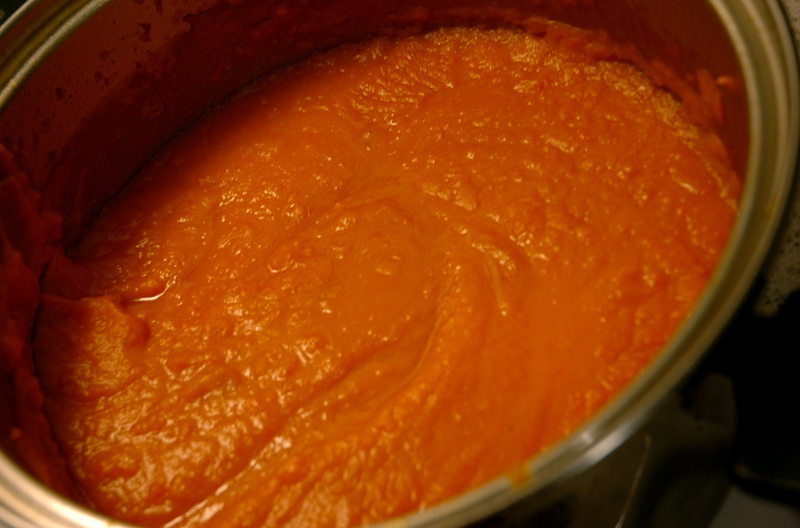 Puree with an immersion blender, or put through a food processor.